A French classic inspired by the 17th-century custom of picking mushrooms while out hunting, to make a sauce for the game. 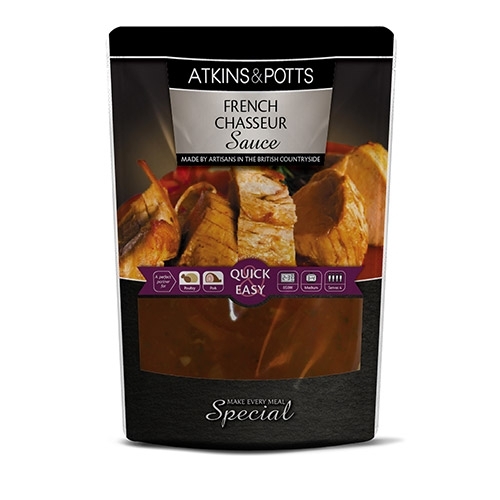 This sauce is traditionally served with venison, game birds or chicken. Heat oil in a large, heavy-based saucepan and add 500g of your chosen meat or chicken, cook quickly until browned. Stir in this ready made sauce, reduce heat and simmer until cooked. The ideal accompaniment to Chicken Chasseur would be small new potatoes and seasonal vegetables.